The pancreas plays a crucial role in digestion. When food empties from your stomach into the small intestine, it mixes with digestive enzymes from the pancreas that neutralize stomach acid, preventing damage to the intestine. These enzymes also break down your food so that it can be absorbed by your body. The pancreas produces insulin, which reduces blood sugar levels and allows your body to store food energy for future use. Eating the right foods can heal and nourish your pancreas. It may also help you avoid pancreatitis, a painful inflammation of the pancreas. 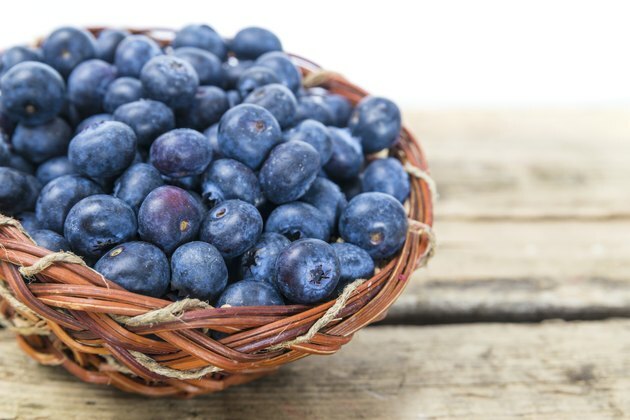 Blueberries and cherries are both good sources of antioxidants, which help prevent cell damage. Broccoli and other cruciferous vegetables like Brussels sprouts, cabbage and cauliflower contain powerful chemicals which may help prevent cancer. Garlic, along with its other allium relative, onions, is a good source of beneficial nutrients for pancreas health and for the prevention of cancer. Red grapes are a good source of resveratrol, a powerful antioxidant. Avoid red wine if you have pancreatitis, and eat a handful of red grapes instead. Red reishi mushrooms can help reduce inflammation and are used in Chinese medicine to restore balance to the body. Spinach is a good source of iron and vitamin B, both of which your pancreas needs. Try a spinach salad, or spinach stir-fried with garlic. Other leafy greens, like kale, mustard and Swiss chard are also beneficial for your pancreas. Sweet potatoes along with other orange and yellow vegetables like carrots, corn and squash contain nutrients which are beneficial for the pancreas and may help prevent cancer. Tofu is an excellent source of low-fat protein. You need protein in your diet for healing, but too much fat will exacerbate any pancreas problems. Tomatoes are a good source of vitamin C and antioxidants. Vegetables also contain antioxidants and beneficial nutrients, and soup provides additional fluid. Yogurt with active cultures are a good source of probiotics, beneficial bacteria which help keep the immune and digestive system functioning at their best. Choose yogurt with no sugar added.